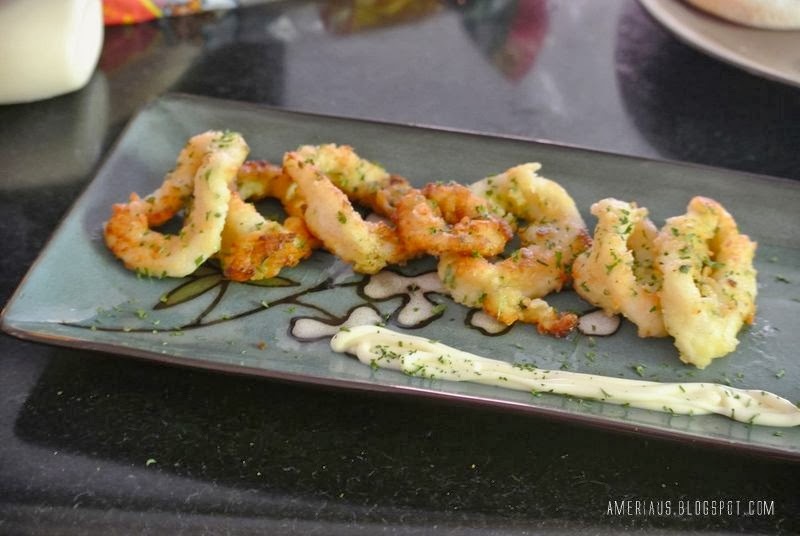 Squid is a quick & easy appetizer that compliments most meals. The key to getting them tender is getting your oil super hot and cooking them quickly!!! A nice marinade adds a nice kick as well. We had these yummy rings with a Salmon BLT for lunch over the weekend. Cut your squid into rings and place into a small bowl. Place your Lemon- Garlic paste in the same bowl and mix until the rings are well coated. Place bowl in the fridge for 20 minutes. Put your flour in another bowl. Take out your squid and toss them in the flour. Heat a skillet with a few inches of oil to medium-high heat. Fry your squid turning until they are golden brown on both sides. Place on a plate and season with S&P and chopped parsley. Serve with aioli. Enjoy!